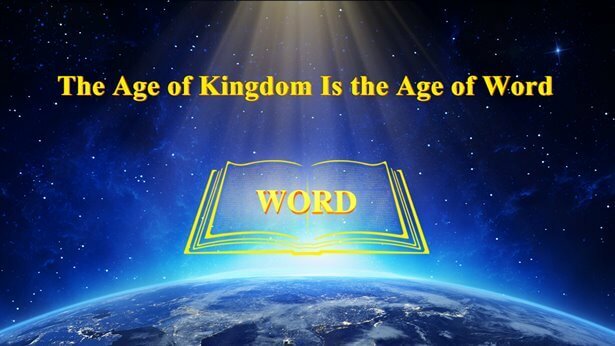 God’s six-thousand-year plan of management is coming to an end, and the gate of the kingdom has already been opened to all those who seek His appearance. Dear brothers and sisters, what are you waiting for? What is it that you seek? Are you waiting for God to appear? Are you searching for His footprints? How one yearns for the appearance of God! And how difficult it is to find God’s footprints! In an age such as this, in a world such as this, what must we do to witness the day on which God appears? What must we do to keep pace with the footsteps of God? Questions of this kind are faced by all those who are waiting for God to appear. You have all considered them on more than one occasion—but with what outcome? Where does God appear? Where are God’s footprints? Have you got the answer? Many people would reply in this way: God appears among all those who follow Him and His footprints are in our midst; it’s that simple! Anyone can provide a formulaic answer, but do you understand what is meant by the appearance of God or His footprints? The appearance of God refers to His arrival on earth to do His work in person. With His own identity and disposition, and in the way that is innate to Him, He descends into mankind to conduct the work of initiating an age and ending an age. This kind of appearance is not a form of ceremony. It is not a sign, a picture, a miracle, or some kind of a grand vision, and even less is it a kind of religious process. It is a real and actual fact that can be touched and beheld by anyone. This kind of appearance is not for the sake of going through the motions, or for the sake of a short-term undertaking; it is, rather, for the sake of a stage of work in His management plan. The appearance of God is always meaningful and always bears some relation to His management plan. What is called “appearance” here is completely different from the kind of “appearance” in which God guides, leads, and enlightens man. God carries out a stage of His great work each time He reveals Himself. This work is different from that of any other age. It is unimaginable to man, and has never been experienced by man. It is work that starts a new age and concludes the old age, and it is a new and improved form of work for the salvation of mankind; moreover, it is work that brings mankind into the new age. This is what the appearance of God signifies. Once you have understood what the appearance of God means, how should you seek God’s footprints? This question is not hard to explain: Wherever there is the appearance of God, there you will find His footsteps. Such an explanation sounds straightforward, but is not so easy to carry out, for many people do not know where God reveals Himself, much less where He is willing to, or where He should, reveal Himself. Some impulsively believe that wherever the Holy Spirit is at work, there God appears. Or else they believe that wherever there are spiritual figures, there God appears. Or else they believe that wherever the people are well known, there God appears. For the moment, let us leave aside whether such beliefs are right or wrong. To explain such a question, we must first have a clear objective: We are searching for the footprints of God. We are not seeking spiritual figures, much less are we pursuing figures of renown; we are pursuing the footprints of God. For this reason, since we are searching for the footprints of God, it behooves us to search for God’s will, for the words of God, for His utterances—because wherever there are new words spoken by God, the voice of God is there, and wherever there are the footsteps of God, God’s deeds are there. Wherever there is the expression of God, there God appears, and wherever God appears, there the truth, the way, and the life exist. In seeking God’s footprints, you have ignored the words that “God is the truth, the way, and the life.” And so, many people, even when they receive the truth, do not believe that they have found God’s footprints, and still less do they acknowledge the appearance of God. What a grave mistake! The appearance of God cannot be reconciled with man’s conceptions, still less can God appear at the behest of man. God makes His own choices and His own plans when He does His work; moreover, He has His own objectives and His own methods. Whatever work He does, He has no need to discuss it with man or seek his advice, much less notify each and every person of His work. This is the disposition of God, which should, moreover, be recognized by everyone. If you desire to witness the appearance of God, to follow God’s footsteps, then you must first walk away from your own conceptions. You must not demand that God do this or that, much less should you place Him within your own confines and limit Him to your own conceptions. Instead, you should ask how you are to seek God’s footprints, how you are to accept God’s appearance, and how you are to submit to the new work of God; this is what man should do. Since man is not the truth, and is not possessed of the truth, he should seek, accept, and obey. Regardless of whether you are American, British, or any other nationality, you should step outside the confines of your own nationality, transcending your own self, and view the work of God from the perspective of a created being. In this way, you will not place limitations on the footprints of God. This is because, nowadays, many people conceive it to be impossible that God will appear in a particular nation or among a certain people. How profound is the significance of God’s work, and how important is the appearance of God! How can man’s conceptions and thinking possibly take their measure? And so I say, you should break through your conceptions of nationality and ethnicity in order to seek the appearance of God. Only thus will you not be constrained by your own conceptions; only thus will you be qualified to welcome the appearance of God. Otherwise, you will remain in eternal darkness, and never gain the approval of God. God is the God of the entire human race. He does not consider Himself the private property of any nation or people, but goes about doing the work as He has planned it, unconstrained by any form, nation, or people. Perhaps you have never imagined this form, or perhaps your attitude to this form is one of denial, or perhaps the nation where God reveals Himself and the people among whom He reveals Himself just happen to be discriminated against by everyone and just happen to be the most backward on earth. Yet God has His wisdom. With His great power, and by means of His truth and His disposition, He has truly gained a group of people who are of one mind with Him, and a group of people that He wished to make complete—a group, conquered by Him, who, having endured all manner of trials and tribulations and all manner of persecution, can follow Him to the very end. The aim of God’s appearance, free from the constraints of any form or nation, is to enable Him to complete the work as He has planned it. This is just as when God became flesh in Judea, His aim was to complete the work of the crucifixion in redeeming the entire human race. Yet the Jews believed that it was impossible for God to do this, and they thought it impossible that God could become flesh and assume the form of the Lord Jesus. Their “impossible” became the basis on which they condemned and opposed God, and ultimately led to the destruction of Israel. Today, many people have committed a similar error. They proclaim with all their might the imminent appearance of God, yet at the same time condemn His appearance; their “impossible” once more confines the appearance of God within the limits of their imagination. And so I have seen many people break into wild and raucous laughter after coming upon the words of God. But is this laughter any different from the condemnation and blasphemy of the Jews? You are not reverent in the presence of the truth, still less is your attitude one of yearning for the truth. All you do is scrutinize heedlessly and wait with blithe unconcern. What can you gain from scrutinizing and waiting like this? Could it be that you will receive personal guidance of God? If you cannot discern God’s utterances, in what way are you qualified to witness the appearance of God? Wherever God appears, there the truth is expressed, and there the voice of God will be. Only those who can accept the truth will be able to hear the voice of God, and only people like these are qualified to witness the appearance of God. Do put your conceptions to one side! Quiet down and give these words a careful reading. If you yearn for the truth, God will enlighten you and you will understand His will and His words. Do put aside your opinions about the “impossible”! The more that people believe something is impossible, the more likely it is to occur, because the wisdom of God soars higher than the heavens, God’s thoughts are higher than man’s thoughts, and the work of God transcends the limits of man’s thinking and conception. The more that something is impossible, the more it has truth that can be sought; the more that something lies beyond man’s conception and imagination, the more there is in it the will of God. This is because, no matter where He reveals Himself, God is still God, and His substance will never change on account of the location or manner of His appearance. The disposition of God remains the same regardless of where His footprints are, and no matter where the footprints of God are, He is the God of all mankind, just as the Lord Jesus is not only the God of the Israelites, but is also the God of all the people of Asia, Europe, and America, and even more the one and only God in the entire universe. So let us seek God’s will and discover His appearance in His utterances, and keep pace with His footsteps! God is the truth, the way, and the life. His words and His appearance exist concurrently, and His disposition and footprints are open to mankind at all times. Dear brothers and sisters, I hope that you can see the appearance of God in these words, and that you begin following His footsteps as you stride forward into a new age, and enter into the beautiful new heaven and earth that God has prepared for those who await His appearance!